Have you been thinking about bagging yourself a new designer handbag recently? What about a nice Louis Vuitton? I love my Louis, and if you've been thinking about buying one, then this may be right up your street. 'The Handbag Clinic' Newcastle are launching their Louis Vuitton week next week and I've got everything you need to know right here! All that's left now is for you to let me know which one you went for! Handbag Clinic is hosting a special Louis Vuitton event in Newcastle to give fans of the designer the chance to bag a rare or preloved piece from the French fashion house. The firm, which has stores in Newcastle, London and Leeds, says since opening in Newcastle in December, it has noticed the favourite designer of customers in the North East is Louis Vuitton, with its famous LV monogram. 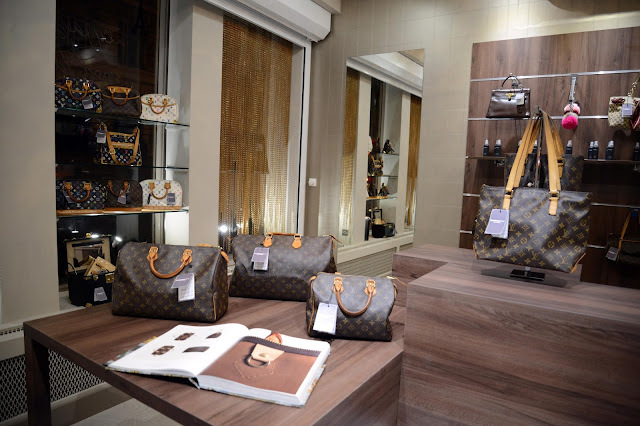 Now, Handbag Clinic is bringing Louis Vuitton bags from across the country to Newcastle to give clients in the region the option to purchase the style of their choice, whether a fan of the Tote, the Speedy or the Bucket style. Handbag Clinic purchasing manager Charlotte Staerck said: “There’s no doubt we love our labels here in the North East and it seems we love Louis Vuitton most of all. Louis Vuitton was founded in 1854, first producing flat-top travelling trunks, before evolving into one of the world’s most valuable brands. Handbag Clinic, which is headquartered in County Durham, cleans and restores bags from leading designers, including Vuitton. The firm also stocks vintage and preloved bags, many of which come in to the store in as-new condition. Bags are sourced from customers across the country who used Handbag Clinic’s “Buy my Bag” service as well as through Charlotte’s expertise and extensive network of contacts. Charlotte added: “We have some customers who always want the latest bag on their arm, so they bring in around three bags a month, usually less than three months old, allowing our clients to snap up immaculate and current bags at heavily reduced prices. “A large number of our bags come into store in brand new condition, sometimes with the tags still attached. One person’s unwanted gift then becomes someone else’s dream bag. But those bags which do need some TLC are revived by our expert technicians. Handbag Clinic’s Louis Vuitton event runs from August 1 to 7. Handbag Clinic opened its first store on Chelsea’s Kings Road before launching on Mosley Street, Newcastle. It offers a range of cleaning, protection, stain removal, repair and restoration services. Handbag Clinic also stocks a range of pre-loved designer handbags.